"A midseason finale that pumps the brakes on fun"
Whatever happened to having fun? When Season 4 of The Flash began, the showrunners appeared determined to deliver more fun superhero fare than the bummer that was Season 3. Perhaps the showrunners were a bit too eager to course correct in the early going, but the show hit its lighthearted stride with episodes like “Luck Be A Lady” and “Girls Night Out.” So what happened to make episodes of The Flash feel leaden again? The answer can be reduced to one word, or rather one name: DeVoe. Now that we’re nine episodes into this Flash season, this reviewer has had enough time to form a verdict on Clifford DeVoe, aka The Thinker. And that verdict isn’t a charitable one. In theory, I get how a master villain whose brain runs as fast as The Flash’s feet would be interesting. But in practice, DeVoe’s machinations have been dishwater dull and not nearly as clever as he (or the showrunners) think they are. Take “Don’t Run” as a case in point: after weeks of skulking in the shadows and gaslighting Barry, DeVoe appears in full villainous regalia to capture Barry in broad daylight (metaphorically speaking; technically, he shows up at night). Surely this is part of a long-range scheme hatched by DeVoe, right? Not so much, as it turns out. Barry escapes the DeVoe-created Speed Force prison pretty easily, despite DeVoe’s gloating about its impenetrability, and the two antagonists have an anticlimactic fight that seemingly ends with DeVoe’s disappearance (more on that in a moment). 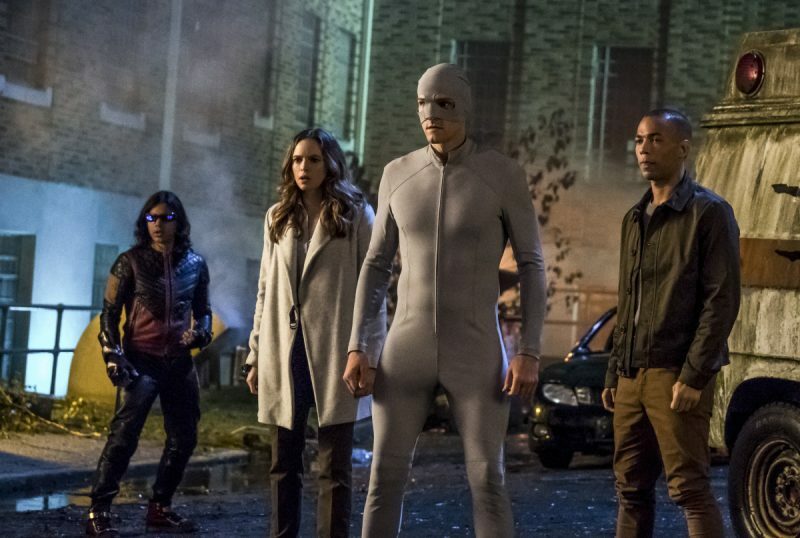 Even if we’re meant to believe that DeVoe’s apparent defeat was meant to lull Barry into a false sense of security that sets him up for a greater fall, it seems like an inefficient and unintelligent means of achieving this end. As Barry (and the audience) will eventually find out, the capture of the Flash was part of a two-pronged attack. While Barry is captured by the Thinker, Caitlin is simultaneously nabbed by her (or rather Killer Frost’s) old boss Amunet. Caitlin assumes that Amunet has kidnapped her in order to bring Killer Frost back into her criminal fold, but in actuality Amunet wants Caitlin’s medical skills to treat a telepathic metahuman named Dominic Lanse. There are a few factors that make this B-plot more entertaining and narratively satisfying than the Flash-DeVoe confrontation. One of those factors is Amunet herself, who fits the fun Flash formula from earlier this season. Compared to the portentous DeVoe, Amunet’s motivations are simpler and straightforward: she’s basically in it for the money and the power after a lifetime spent without either. 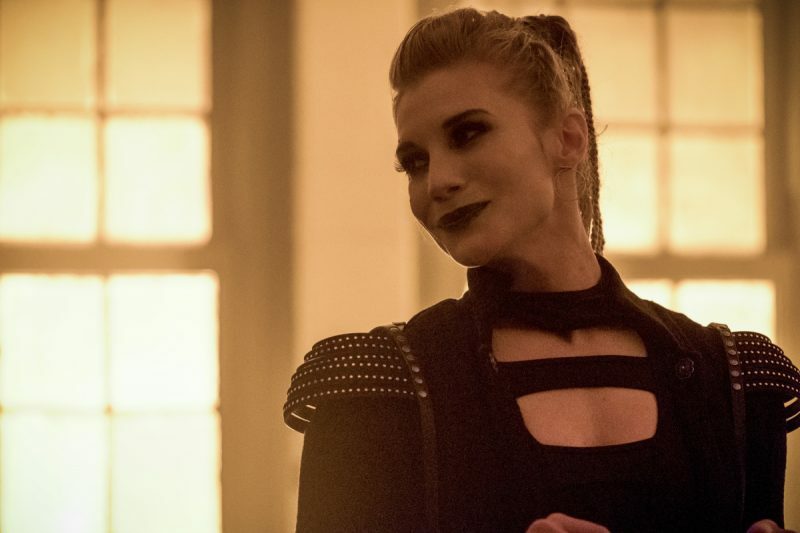 On that basis alone, Amunet is a more relatable antagonist than DeVoe—and what’s more, Katee Sackhoff's ebullient portrayal of the character makes her infinitely more fun to watch. Another plus for this storyline is how it puts Caitlin forward as a force to be reckoned with. To be frank, Caitlin’s character hasn’t fared all that well ever since she gained her Killer Frost persona back in Season 3. While characters such as Cisco got to revel in their newfound abilities, the showrunners burdened poor Caitlin with cold powers that turned her evil the more she used them. This season, The Flash has turned down the Killer Frost related angst to the point that even other members of Team Flash admit that she’s more fun to hang out with. This naturally creates a crisis of confidence in Caitlin, which is a storyline that we saw with numbing regularity last season. But rather than wallow in melodrama, Caitlin gets to assert her surgical skills (which doesn’t seem in keeping with her background as a bioengineer, but whatever) and justify Amunet’s faith in capturing her. Even Dominic, the metahuman telepath she’s tasked with reviving, seems at first like an interesting addition to the expanding Team Flash roster. That is, until we discover his true nature. The last several minutes of “Don’t Run” kick things into overdrive. After Barry defeats DeVoe, the gang assembles at Joe’s house for a Christmas party. (Unlike this week’s episode of Supergirl, in which the holiday season figures prominently, the Christmas references in The Flash are nominal at best.) After Barry is lured away from the party to visit the apartment he shares with Iris, he gets a call on his cell phone from Dominic, or rather DeVoe in Dominic’s body. It turns out that DeVoe had transferred his consciousness into Dominic’s body prior to being handed over to Amunet. With an unsuspecting Team Flash assembled at Joe’s house, it would seem an opportune time for DeVoe to kill them all. But instead of actually doing something clever, he reveals his clever plan to Barry without actually executing it. The other part of the plan is revealed when DeVoe’s former body is found dead in Barry’s apartment just in time for the CCPD to conveniently show up. But instead of running away, or at least concealing the body, Barry decides to not run (ergo the episode’s title) and let himself to be caught. To what end this accomplishes anything other than creating a dramatic midseason finale isn’t clear. As it stands now, it seems to be a case of a not-as-smart-as-advertised villain entrapping a clueless-for-plot-purposes hero. Not exactly the best way to ring in the holiday season. Is DeVoe less smart than we think or is Barry more dumb than usual?